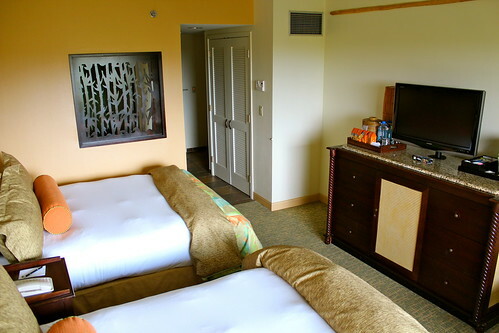 Welcome to Loews Royal Pacific Universal Orlando Resort®! Swaying palm trees. Tropical breezes. The allure of the South Seas. Today, you can experience the wonder of Fiji, Bali and Hawaii without sailing halfway around the globe. 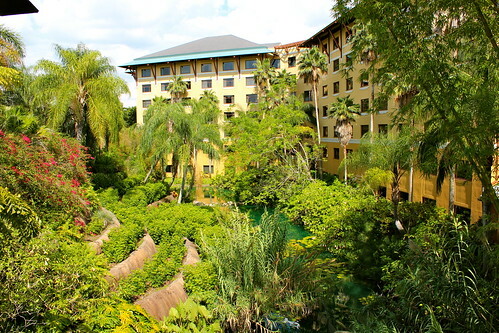 Offering 1,000 guest rooms and suites, the Loews Royal Pacific Universal Orlando Resort transports guests to the enchanted isles of the tropics. Dine at Emeril’s Tchoup Chop, featuring celebrity chef Emeril Lagasse’s unique take on Asian cuisine; delight in the impeccable service; and soak in the splendor of lush tropical surroundings. 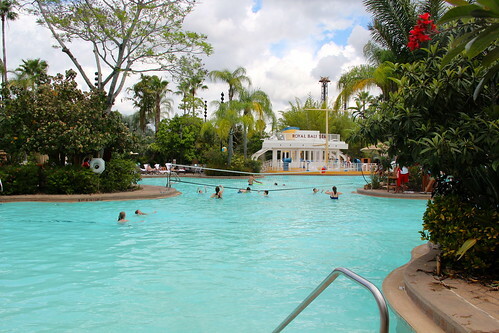 From the sparkling waterfalls and wood carvings, to the pristine white sand of the lagoon-style swimming pool, Royal Pacific Universal Orlando Resort is an island of tropical pleasures set in the midst of a universe of excitement. 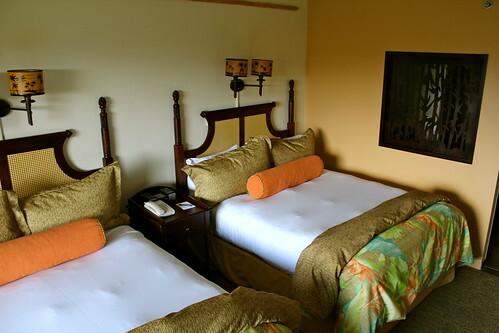 Each of the hotel’s 1,000 guest rooms exudes the warmth and charm of the islands with bamboo accents, hand-carved reliefs from indigenous islands woods, colorful linens, and furniture reflecting the beauty of the tropics. 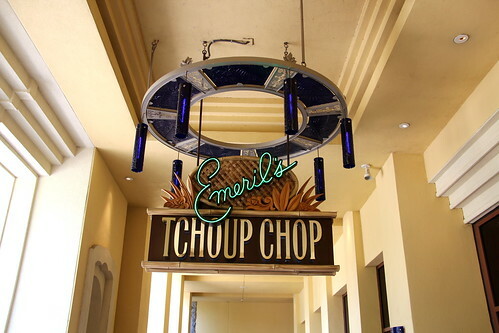 Emeril’s Tchoup Chop! 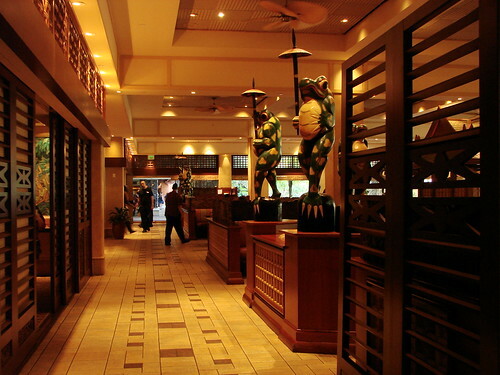 – A steakhouse with an Asian flair that only Emeril can provide. 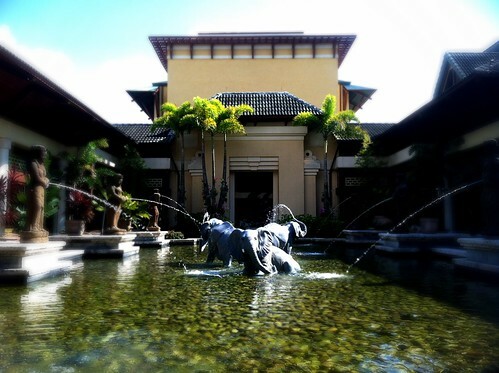 Islands Dining Room – Featuring Pacific Rim cuisine in a luxurious Indonesian-style dining room. 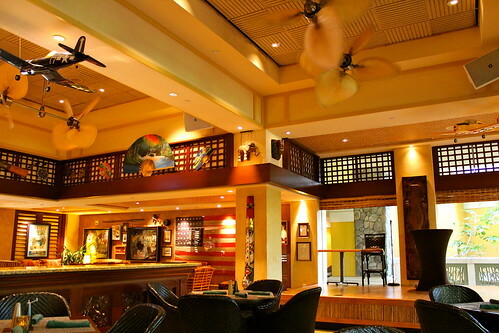 Jake’s American Bar – Featuring fantastic American cuisine with an airport diner theme.